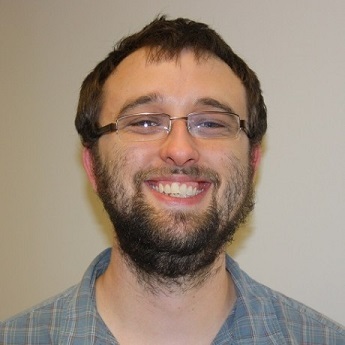 This fall the Computer Science and Technology Department is pleased to welcome new Assistant Professor of Computer Science Dr. Kyle G. Burke. Kyle received his Ph.D. from Boston University and has also taught at Wittenberg University and Colby College. He specializes in theoretical computer science but is learning more about software design. He keeps a blog about combinatorial game theory. He loves teaching programming classes and playing board games. Each week, he runs a departmental game lunch. Welcome to Plymouth State Kyle! What are you most excited about for the upcoming school year? I’m definitely excited to meet a host of Plymouth students and see what sort of cool things they’re interested in. On top of that, I’m excited to teach Data Structures for the first time! I’ve got some neat ideas for that course. What do you enjoy most and find most challenging about teaching? It’s excellent to witness students “get it” and see them grasp the material and it’s importance. It’s even better when they get it so well they ask you a question that goes beyond the course material. It’s always worth it to find the answer to those questions if you don’t already know them! The most challenging thing is trying to fit everything in to a course. You want to describe material, go over good examples, discuss homework and projects, and still have time for exams. It’s tricky to choose what things don’t make the cut. Tell us a little about your research interests. I have lots of experience with abstract board games: trying to find winning strategies and determining when it’s computationally too hard to do so. More recently I’ve been interested in software design and applying good design principles to solve parallel programming problems. I’m very happy that both of these can find their way into undergraduate courses!